Retirement is something that people are looking forward to, especially if they have worked for the longest time in their lives. It means that they are free from employment responsibilities and they can already rest whatever way they want to. Different countries have different guidelines and rules in which retirement policies of the government may be applied. However, there are individuals who choose to personally retire in the age that they want, especially if they think that they have already done their purpose in the working environment. However, retirement may also mean that there are people who will not be a part of your daily life and functions anymore. 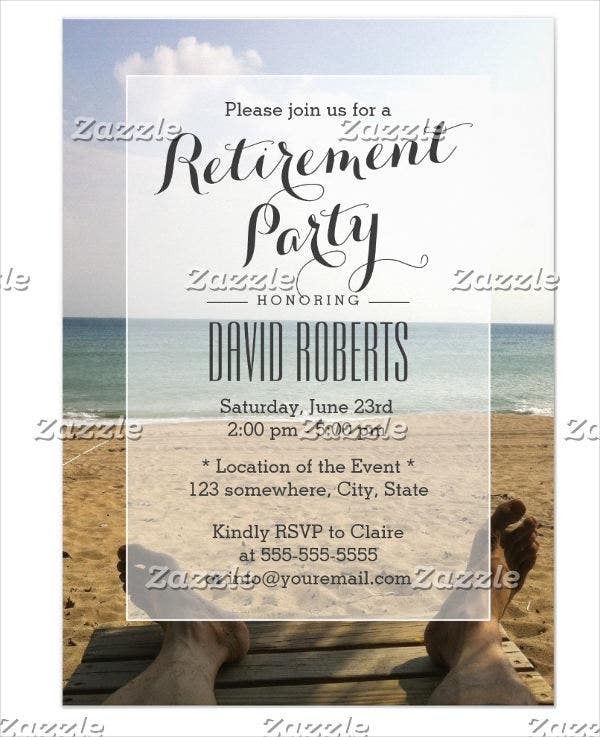 A retirement farewell party may be done so that you and the people you have worked with can have a time to talk and bond with each other before you leave them for your retirement. 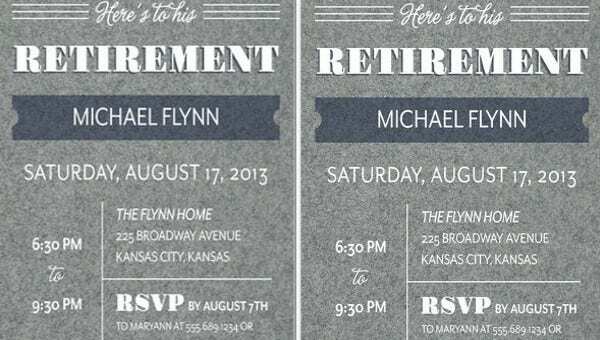 We can provide you with retirement farewell invitation samples and other Farewell Party Invitations that you may use whenever needed. 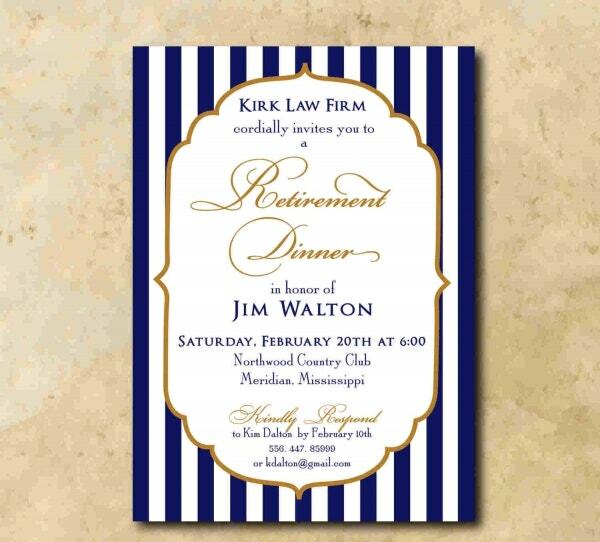 These information will let the invited guests know their availability on the date and time provided and it will also allow them to prepare something for the person that is to retire. 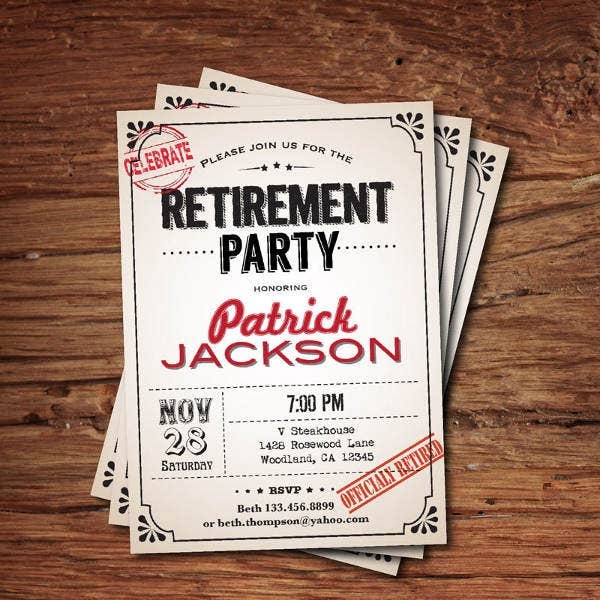 The sooner the retirement farewell invitation is given, the better. It will be best if you are to put a photo of the person to whom the party is for. 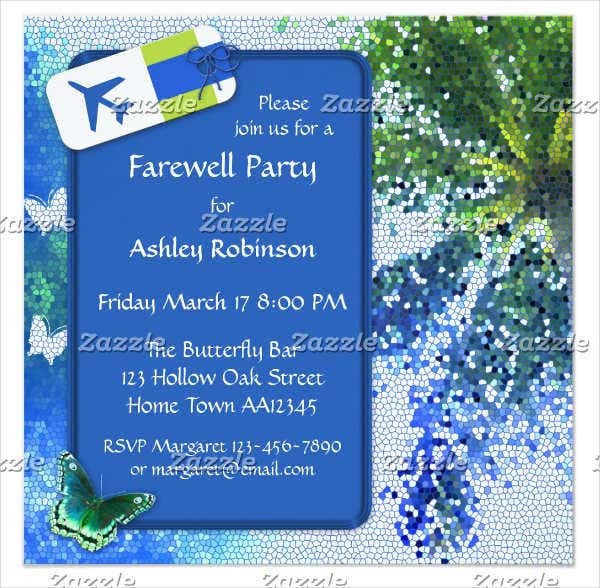 The design of the farewell invitation must have a relevance with the life or the position being held by the person. 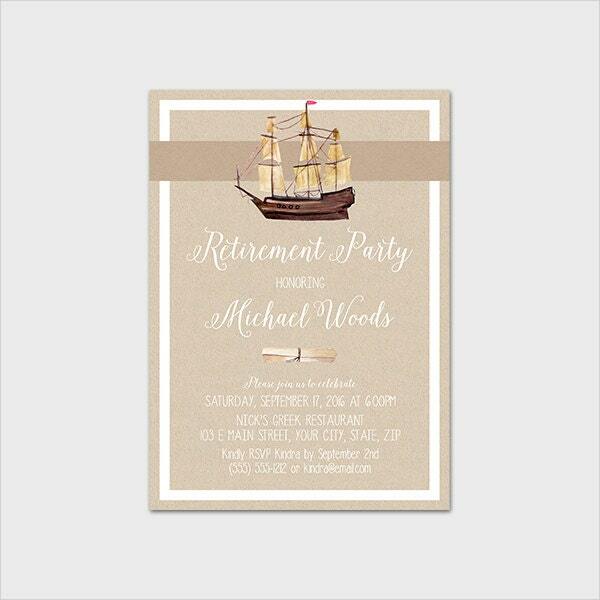 The characteristic of person must also be reflected to the farewell invitation design. 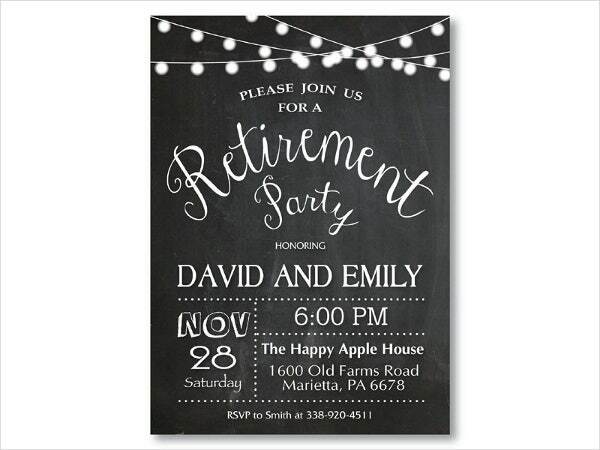 Other than the available retirement farewell invitations available for download in this article, you may also be interested to browse through our Retirement Party Invitations. It provides the details of the party. It allows people to know that someone is to retire already. It can be useful in tracking the people who are to confirm to go to the party. It helps the guests to know the activities and the program for the party. 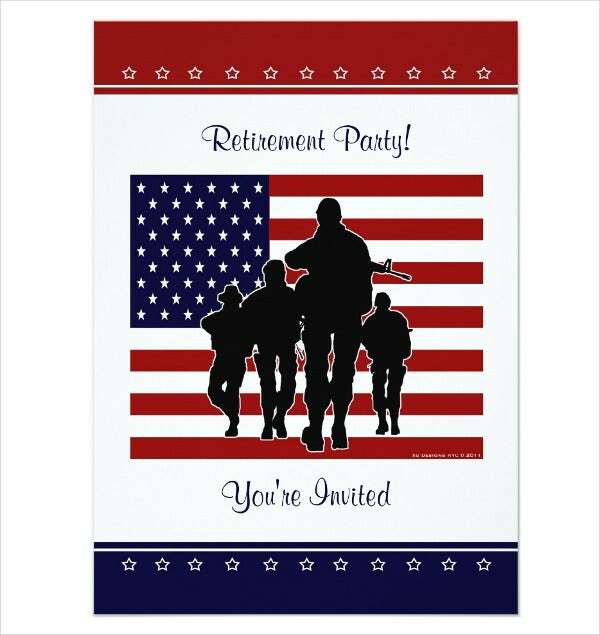 Aside from our retirement farewell invitation samples, you may also download our Party Invitation Templates.